West Mercia Police questioned a 37-year-old man and a woman, aged 27, about suspected cruelty to foxes. 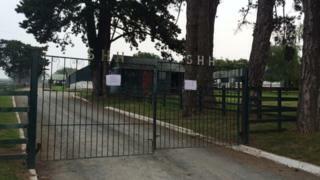 The hunt's kennels in Wormelow, near Hereford, have been closed and all horses and hounds moved elsewhere. A message on the hunt's Facebook page says salaried staff have been suspended and an internal inquiry will begin. The man and the woman have since been released on bail. The RSPCA said it is helping the police with its investigation.